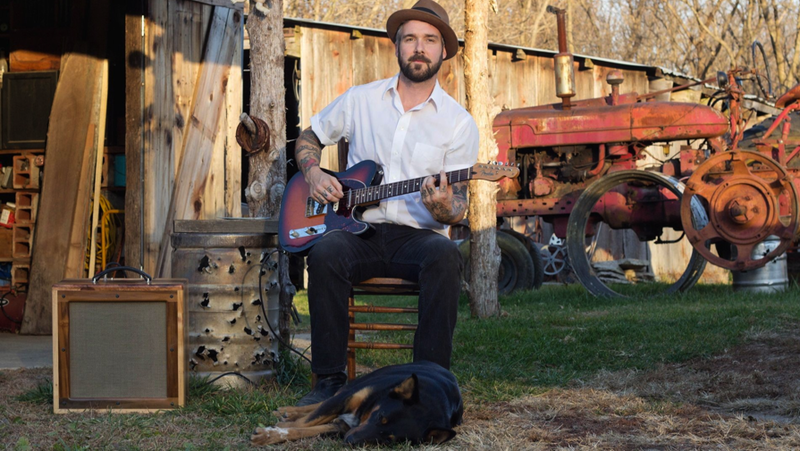 "Born into a family of farmers in Iowa, William Elliott Whitmore learned early on to translate his knowledge of diversifying crops and caring for roots to his musical career; “[music is] this beautiful, fragile thing and you try to hold onto it and take care of it. You try to write good songs that make people think and maybe feel something, too, but you have to switch it up…” After fifteen years, the singer-songwriter knows a thing or two enough about keeping things fresh and productive. “Healing To Do,” off his just-released album Radium Death, shows Whitmore “going electric” and fleshing out his sound with a full backing band, as seen in the video for the song, directed and shot by Bill Adams. The living room (at the rural home of Whitmore’s late grandmother) becomes a stage for Whitmore and his band to bang out the soulful, foot-stomping track in the most down-home setting possible. Reaching its peak with a gravelly howl, “Healing To Do” shows the promise of Whitmore’s eighth studio album being one of his most fulfilling. Radium Death is out today via ANTI- Records, and Whitmore is heading out on tour across the country starting in April."